Train2Game Blog readers will probably be aware that Bungie, developers of Halo, have stepped away from shooter. The series is now in the hands of Microsoft studio 343. They produced last year Halo Anniversary, which you can read more about in this Train2Game Blog interview producers Dan Ayoub and Producer Dennis Ries. It’s 343 who’ll be developing Halo 4, but Bungie co-founder Alex Seropian – now working on mobile games – is confident with Microsoft, Halo 4 is in safe hands. “It’s so crazy in an interesting way. I’ve been an observer for a while now. So much has gone on with the franchise. I will say the encouraging thing is that I know a lot of the folks at Microsoft working on it and they are great people,” he told GameSpot. However, Seropian added that even though he was “a little nervous” with what 343 could do with Halo 4, he’d be surprised if wasn’t a success. “I don’t think I can be anything other than hopeful that it will be great. We’ll see. Halo is one of the crown jewels in the Microsoft gaming IP, if not the crown jewel, so you would expect nothing less than for them to take the time needed and apply the resources needed to make it great. I would be pretty surprised if they wiffed it.” he said. “Maybe it will bring a fresh perspective, and that’s so hard because there’s so many fans that are used to a particular thing that bringing something new is often…it’s hard to bring something new to a franchise that’s so established. I’m looking forward to it.” the Halo creator concluded. The full interview in-which the Bungie co-founder discusses his new mobile studio and much more can be read on GameSpot. What are your thoughts on Halo being under the stewardship of a new developer? And what are your hopes for the series? Train2Game students who have already developed their own games may have perhaps found building something completely from scratch a challenging affair. 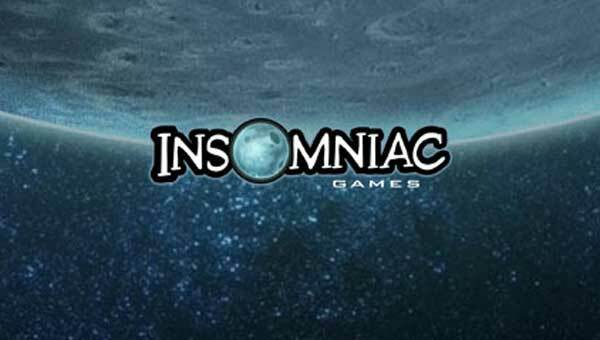 However, they’re not alone, far from it, as Insomniac CEO Ted Price has told Gamasutra building new IP is challenging, but immensely satisfying. “It’s always a difficult moment, too, when you’re trying to find out what your new IP is. That’s the challenge we’ve set for ourselves over the year,” said Price. The Insomniac CEO added that development team which features a mix of experience levels can help produce interesting new games. “And when you have less-experienced members of the team who may not be as well-versed in basic mechanics, but know what the audience is playing and know where culture is today, it’s a good combination.” Price concluded. Train2Game students can read the full interview over at Gamasutra. Insomniac Games are the studio behind Spyro, Ratchet & Clank and Resistance. The Train2Game Blog has previously reported that they’re letting social games influence the development of their other titles. So Train2Game, what are your thoughts on Price’s comments? Have you experienced the satisfaction of creating your own, unique, games? Leave your comments on The Train2Game Blog, or here on The Train2Game forum. Train2Game Blog readers will have seen that experimental indie title Dear Esther sold 16,000 copies in its first 24 hours on sale. Of course, sales didn’t stop there as developers Thechineseroom have revealed 50,000 copies of Dear Esther were sold in the first seven days after release. “You may have seen the news that we repaid Indie Fund within 6 hours of launch, as the game has been successful far beyond our expectations. This is great, as it shows that there’s a real audience for this type of work, and responses have been amazing.” wrote developer Dan Pinchbeck on the Dear Esther website. “Not only have we received amazingly positive reviews, but the response from fans has been outstanding. Within one week of launch, we sold over 50,000 copies of the game, which is an extraordinary amount for an indie release.” he said, before adding that patches and updates for Dear Esther are on the way. The news should encourage Train2Game students, as it shows that it’s still very possible for an indie game to be successful. More information about the game that started life as a Half-Life 2 mod is here on The Train2Game Blog. 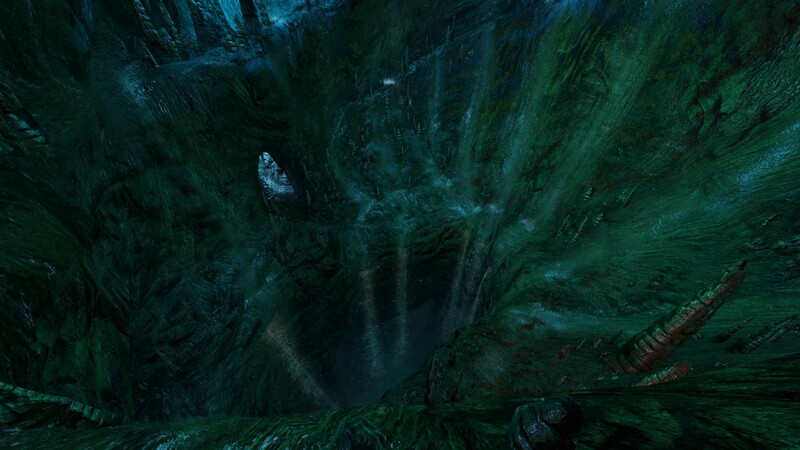 What are your thoughts on the success of Dear Esther? Have you played it? If so, what did you think? Train2Game students are preparing to use Epic’s Unreal Engine for iOS to make games as part of Make Something Unreal Live at The Gadget Show but meanwhile, Epic are getting ready to show off Unreal Engine 4. They’ll be previewing the next-gen technology behind closed doors to “select licensees, partners and prospective customers.” at GDC in San Francisco. The Game Developers Conference takes place March 5th to 9th. It was earlier this month that The Train2Game Blog reported that Unreal Engine 4 would be shown off this year. “People are going to be shocked later this year when they see Unreal Engine 4 and how much more profound an effect it will have,” said Epic Games Vice President Mark Rein. It was at last year’s GDC that Epic Games first revealed the highly impressive Samaritan tech demo, which you can watch here on The Train2Game Blog. Earlier this month, it was revealed that the power of ten Xbox 360 consoles would be required to recreate the visuals. For more about Epic Games, the Unreal Development Kit and that Samaritan tech demo,see The Train2Game Blog interview with Epic European Territory Manager Mike Gamble, who was speaking to us at the Train2Game & Epic Game Jam. What are your hopes for Unreal Engine 4? Train2Game students should find the contents of this post rather interesting. 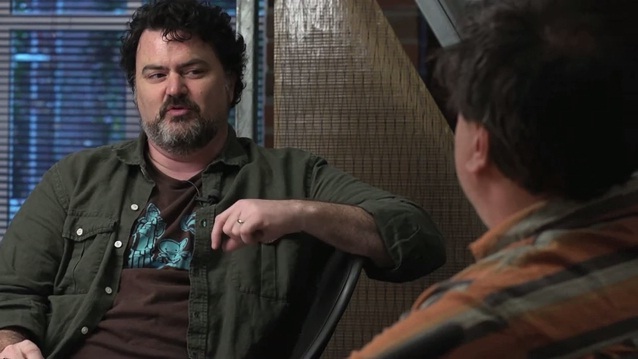 It’s a video featuring Double Fine’s Tim Schafer and Ron Gilbert in discussion about adventure games. In the 35 minute long video, the creators of the Monkey Island series talk about the adventure genre as a whole, look at what they did right and what they did wrong, and dissect game design as a whole. The video from Two Player Productions should give Train2Game students a fascinating insight into the minds of two legendary figures in the games industry. You can watch it below. The Train2Game Blog recently posted about Double Fine’s Kickstarter project, which is now backed with $2.24 million. Those who pledge $15 or more to the Adventure Game project will gain access to the beta. We’ll be sure to bring you all the latest news from Tim Schafer and Double Fine. What are your thoughts on Tim Schafer and Ron Gilbert’s discussion? Has it given you anything to think about? 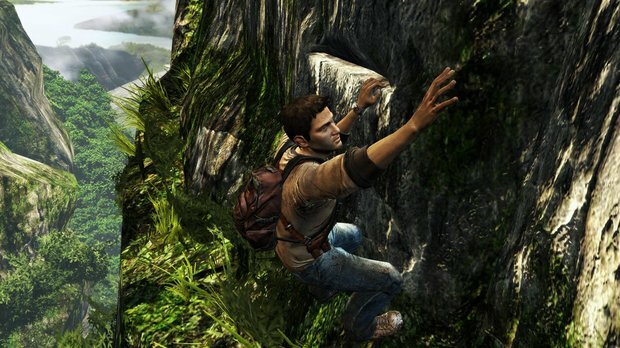 Train2Game students see PlayStation Vita games Uncharted: Golden Abyss and FIFA Football storm the charts following the launch of Sony’s handheld console in the UK. Sony’s own Uncharted: Golden Abyss is therefore the first PlayStation Vita title to take No.1 in the UKIE Games Charts, and it’s followed in No.2 by another Vita launch title, FIFA Football. The two games account for half of all PlayStation Vita game sales this week. UFC Undisputed 3, which as reported by The Train2Game Blog took top spot last week, has to settled for No.3, while FIFA 12 slips to No.4. Rayman: Origins jumps 31 places to re-enter the top ten at No.5, thanks to the release of the PlayStation Vita version. Mario & Sonic at the London 2012 Olympic Games drops two to No.6, with multiplatform title Syndicate the highest non-Vita new entry at No.7. FPS rivals Call of Duty: Modern Warfare 3 and Battlefield 3 slip to No.8 and No.9 respectively, while former No.1 Final Fantasy XIII-2 completes the top ten. Three new entries make the top twenty, with Wipeout 2048 for PlayStation Vita at No.11, Nintendo Wii RPG The Last Story at No.15, and Fallout: New Vegas Ultimate Edition taking No.17. SEGA’s new release Binary Domain only manages No.35 in its first week on sale. New releases for the upcoming week include SSX, Mario Party 9 and Mortal Kombat Komplete Edition. What are your thoughts on Vita titles storming this week’s charts? Is it good news for Sony? And what will be No.1 next week? 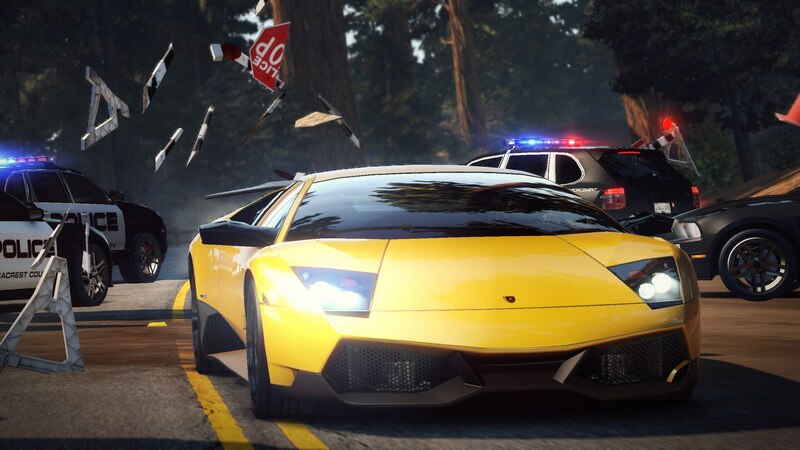 Train2Game students have the chance to get behind the scenes at Burnout and Need for Speed: Hot Pursuit developers Criterion thanks to a competition from the studio. 30 lucky winners will to find out what it’s like to work for the Guildford based game developer, and with activities including interactive sessions and a proto-type competition, the winners of which will be awarded with work experience placements. Anyone who gets to visit Criterion will surely find it extremely interesting, and potentially useful for securing that all important first job in the industry. To enter the Criterion Games open day competition, visit their official website and answer the questions explaining why you want a work experience placement at the Burnout studio. The competition closes 9th March, with winners attending the open day on Thursday 12th April. Good luck to any Train2Game students who enter! Train2Game students have the opportunity to play Tribes: Ascend which as of today is in open beta. That means the multiplayer shooter is available to play for free to anyone who registers an account on the Tribes: Ascend official website. The free-to-play title from Georgia based Hi-Rez Studios is officially scheduled for a full launch later this year, but the open beta is essentially giving players a taste of what will be available. 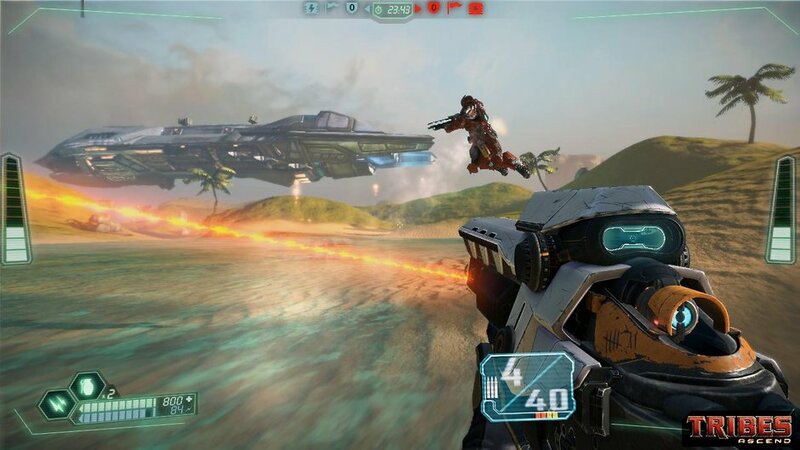 Tribes: Ascend currently features five different maps, nine unique classes and three different game modes including old FPS favourites Team Deathmatch and Capture the Flag. Vehicles, jet packs and skiing all feature in what looks to be a fast paced multiplayer shooter. See Tribes: Ascend – built using Epic’s Unreal Engine 3 – in action by watching the trailer below, right here on The Train2Game Blog. Beta testing is an excellent way for Train2Game students, especially those on the Games QA Tester course to practice their bug hunting skills. Not only that, but in an interview with the Train2Game blog, Trion Worlds Senior QA Tester Karl Tars said that beta testing is potentially a way to get into the industry. The Train2Game Blog will be sure to keep you up to date with the latest beta testing opportunities. What are your impressions of Tribes: Ascend? Will you be playing the open beta? Train2Game recently sat down for a chat with Remedy Head of Franchise Development, Oskari Häkkinen. In an in-depth interview, Häkkinen discussed Alan Wake, bringing the game to PC, and their brand new XBLA release Alan Wake’s American Nightmare. He also offered various insights into the industry that Train2Game students will no doubt find very interesting. It’s a big interview, so we’ve divided it into two parts. Part two sees Häkkinen digital distribution, life at Remedy Entertainment and offers advice on getting a job in the industry. Read it below here on The Train2Game Blog, or on the Train2Game Scribd page. Part one of our interview with Remedy Entertainment’s Oskari Häkkinen is here. As usual, leave your comments here on The Train2Game Blog, or on the Train2Game forum. 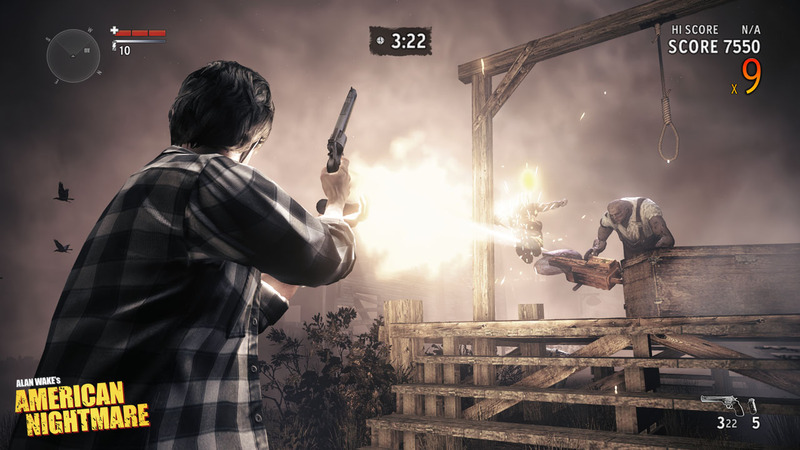 With Alan Wake’s American Nightmare being released on XBLA, and coming to PC via retail and Steam, what do you think the future is for digital distribution? As a studio we’re looking at digital distribution quite seriously, and we’re learning a lot about it. Hence we have titles coming out on i OS, like Death Rally, and we’re moving it to other digital space as well. Now, Alan Wake’s American Nightmare is coming out on XBLA which is another digital channel, Alan Wake is coming out for Steam as well. We’re not forgetting retail, obviously Alan Wakeis coming out in a box, the PC version coming out retail on March 2nd. But we definitely feel that digital is going to be important in the future and that for us as a studio it’s extremely important at this time to learn and understand what digital means and what are the basic things that need to be done in a digital space, and one of those things is of course listen to the gamer. The gamer plays and gives you feedback. Analyse that feedback and see if other people are of the same opinion then react to it. Think as a video game more as a service that you’re constantly providing, it’s a gift that keeps giving and if you keep giving, the gamers will keep giving back to you too. And does digital distribution allow studios to take more risks? As they don’t need to spend years on one thing, they can push out a game in a shorter amount of time and see if it works. It depends on the type of game, but I certainly think so for certain games, or for specific genres it works exceptionally well. Then if it gets a good reception and people want more then keep doing more. A little about you now, what does your role at Remedy actually involve? I’m the Head of Franchise Development, quite a mouthful. What that means is I’m in charge of our franchises at Remedy. For Alan Wake there as a book, a strategy guide, an art book, we had a music CD, we had the cinematic score, so all those little bits and bobs that hopefully the fans out there love. They are part of the franchise in some shape or form and have at one point or another come through my desk. Then also, kind of being part of the overall thinking of where the franchise is going and making sure that stays true to what we’ve always wanted to do with Alan Wake. 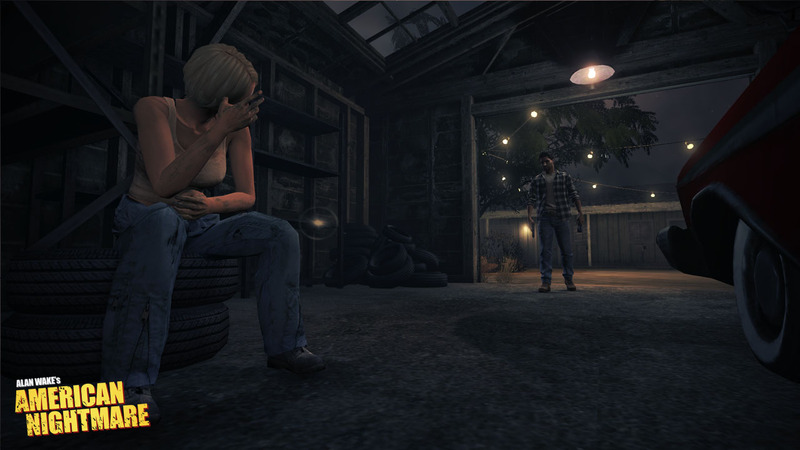 So, when we do things like Alan Wake’s American Nightmare, how does that fit into the universe of Alan Wake? What are the things we want to achieve? And one of the things we want to achieve is that it’s pick up and play for anyone. What we hopefully do is get more people in Alan Wake as a franchise, to give Alan Wake as a franchise more possibilities. But then at the same time you’ve already got people that are invested in the fiction and you want to make sure that you’re pleasing them also. So it’s little things like that which mean I’ll be part of discussions about how to keep our current fans happy, you know, you don’t want to lose them, they’ve already been loyal. And how do we perhaps get more fans to give Alan Wake a brighter future. Fans are of course very important to a studio, but what would you say are the other key values of Remedy? Cinematic is very important, character centric with a lead character. 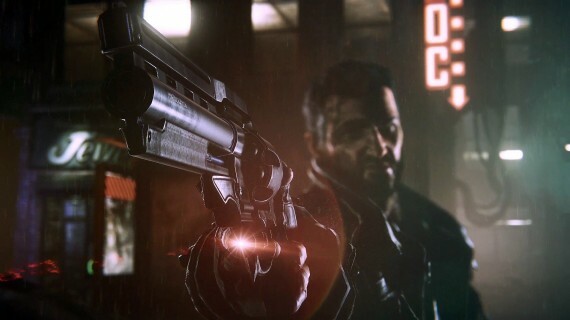 Action; with Max Payne it was about Hong Kong action and slow motion bullet time, with Alan Wake it was about using the light and darkness as the elements, action elements that are familiar to people but haven’t been seen in video games before. Then of course being story driven goes without saying, pushing the envelope telling stories in video games, every one of our games has taught us something, taught us new methods of telling stories in games. With Alan Wake the episodic structure, we feel is an excellent way to tell stories in video games. Those are the kind of basic key principles that makes a Remedy game. So if an upcoming game developer wanted to join Remedy, what advice would you give them about getting into the studio, or indeed, the studio as a whole? That’s an open ended question because it isn’t specific to the role. There’s a tonne of different roles in a studio. If they’re fantastic at animation, just knock on our door. We’re looking for an Art Director at the moment so if you’re fantastic at art just knock on our door. And we’re looking for another writer for the writing team, so if writing is your thing and you like what we’ve done with Max Payne, with Alan Wake, you see the type of writing we do for our games, so if that appeals to you then apply for that. We have a number of roles open. But Remedy is a very small team – a lot of people don’t know that – we have about 60 people. Max Payne 1 was made with about 25 people, Max Payne 2 with about 25 people, Alan Wake peaked at about 55. So, we’ve grown a bit and we’re growing a little bit more but we consider ourselves a smaller developer. The idea is never to grow to 200, even 100 is scary for us, we want to keep very core competence so that every single recruitment that we make is a carefully thought out decision of what that person brings to the team and how that person fits in. We don’t expect to lose people either, so we expect to bring people on board and be able to give them enough creative freedom to be happy for a very long time. Very few people have left Remedy since they’ve started, and we’ve been going on since 1995, so we’ve gradually grown extremely slowly to maintain that core competence. We feel that if every person on the team understands exactly what we’re doing, and what are the principles of making a Remedy Game, that’s great. But as soon as you go over 100 you don’t know the person that’s sitting next door to you. 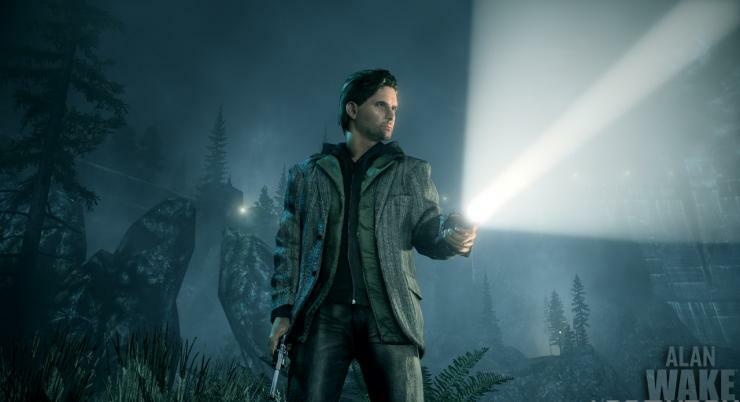 Alan Wake is available via Steam now, the PC is released via retail on March 2nd, and Alan Wake’s American Nightmare is available from XBLA now. Train2Game students have the opportunity to register for a Counter-Strike: Global Offensive beta key. To be in with a chance of receiving a CS:GO beta key, visit the Counter-Strike blog and follow the link to complete a survey using Steam. The survey asks questions based on your previous experience with Counter-Strike, favourite weapons and some other more general information. Valve are keen to state that there are no wrong answers, and it’s likely that they’ll need CS: GO beta testers from a variety of different backgrounds. 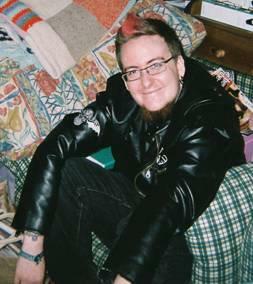 “Over the coming months we will make selections from the survey participants. Sometimes we might add experienced players, other times new players. Sometimes 1.6 players, sometimes CSS players, sometimes people who have played neither.” said the Counter-Strike blog post. In an interview with The Train2Game Blog , Valve’s Chet Faliszek said that beta testing is an important part of the game development process for CS:GO, and ultimately it’s player feedback that’ll drive the eventual full release date. “Because we’re really looking to get the feedback from the community over the changes we’ve made. We’ve brought over some stuff that was good from Counter-Strike: Source and we’ve brought over some stuff that was good from 1.6, so it’s going to be interesting to see how the communities react” the Valve writer added. 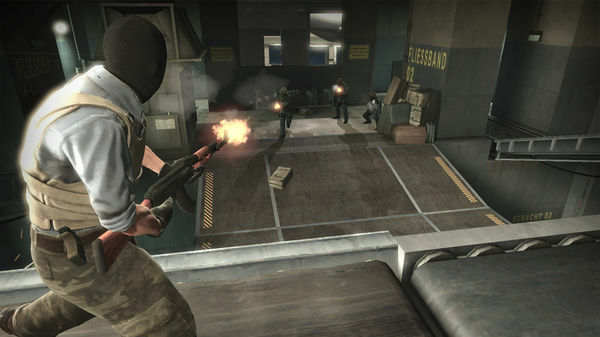 Read The Train2Game Blog interview with Chet Faliszek on Counter-Strike: Global Offensive here. Keep reading The Train2Game Blog for the latest beta testing opportunities. Will you be attempting to grab a CS: GO beta key? Leave your comments on The Train2Game Blog, or on The Train2Game Forum.